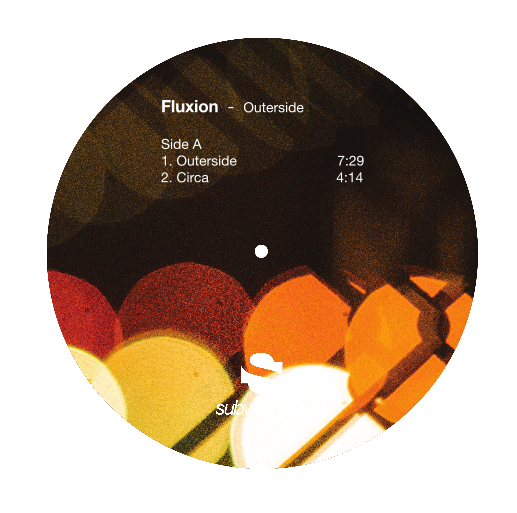 Four timeless tracks of dub techno from Fluxion, previously only available on the Vibrant Forms II CD on Chain Reaction, this is the first time the tracks have ever been available on vinyl. Fluxion answers our prayers and commits to wax four of the deepest and most sought after Vibrant Forms dubs in the form of “Outerside”, “Circa”, “Enhancement” and “Equilibrium” these show a more abrasive sound to the submerged producer and blends elements of hard, industrial sounds creeping into the mix, imagine a maximal Pan Sonic mixed with some Prince Far I for a taste of what to expect. Must have for all Basic Channel fiends.